← Le Poète Public honours me with a poem! 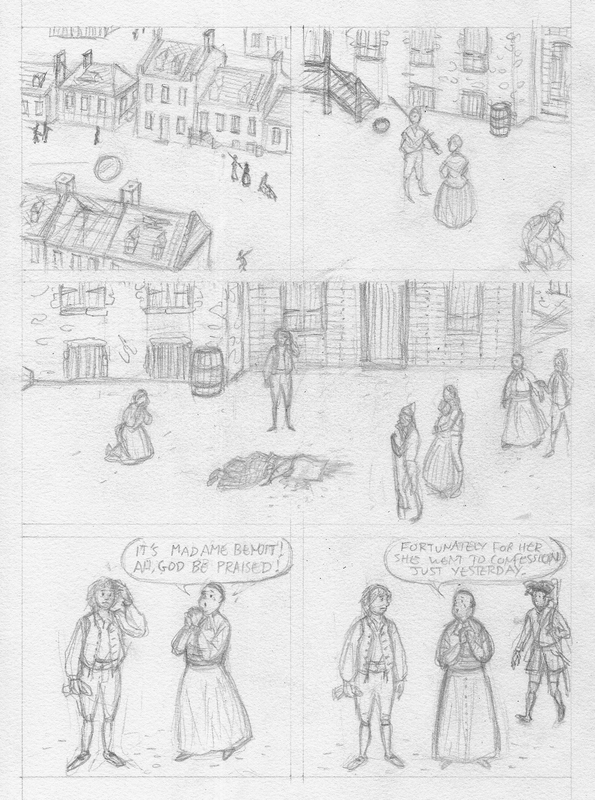 First draft of a brief extract from from my ongoing graphic novel project recounting the siege of Quebec City and the Battle of the Plains of Abraham in 1759. 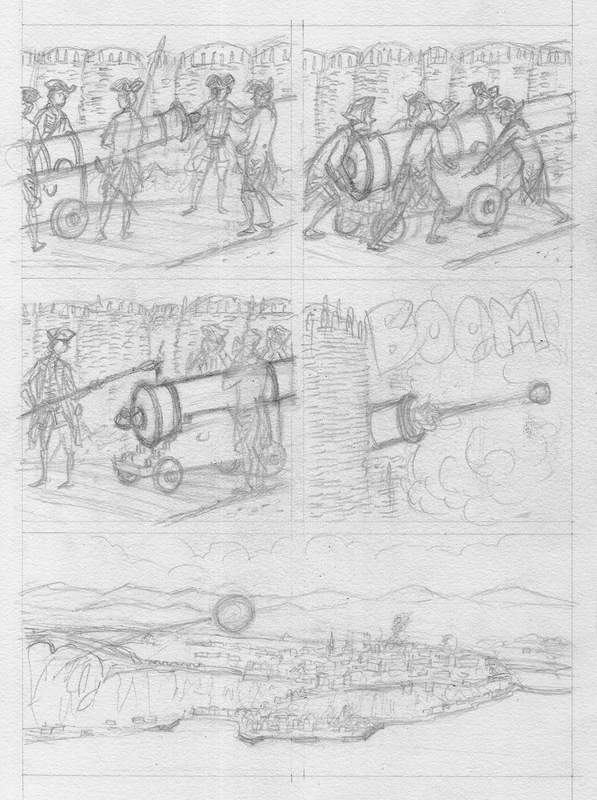 This entry was posted in bande dessinée, comics, new france and tagged 1759, Battle of the Plains of Abraham, bombardment, cannons, quebec city, siege. Bookmark the permalink. Thanks very much! Joseph Gagné, I presume? As it happens, I was looking through Inconquis at the bookstore a couple of weeks ago! I only had time to look at the pictures, but the story seems fascinating and quite romantic, and I look forward to reading it. At this point, my plan for the graphic novel is to complete an initial 56-page section, ink and watercolour it, and post it here, hopefully in early 2017. I’ll then start looking into getting a publisher or obtaining some grants that will help give me the time to complete full graphic novel, which should be around 300 pages. Thanks again for your interest! As you’re doing the draft, I’d be happy to look over the pages if you wish me to review or comment the accuracy of each panel. Can’t wait to see the finished book! That’s very generous of you! Perhaps then I could send you the 56-page penciled pages when they’re ready? Or I could send you the script I am working from right now. The period covered is roughly from the last week of August to around September 10, when Wolfe makes the final decision to attack via the Foulon. Of course there is a large degree of artistic licence, and I have to balance the different views of the authors I have read, but it would be really great to get some feedback from an expert! With pleasure! I understand artistic license. I’ll gladly review the script for now. I’m actually in the midst of researching the siege of Québec for my doctoral thesis. So it’s pretty fresh to mind :)You can email me via my email at https://electronicnewfrance.wordpress.com/ (I’m careful not to give my email where bots might find them on blogs. Happened before). Being a Seven Years’ War specialist, you have no idea how excited I am for this graphic novel! What’s the eta for publication? I also recently published a book on the period (Inconquis, Éditions Septentrion).